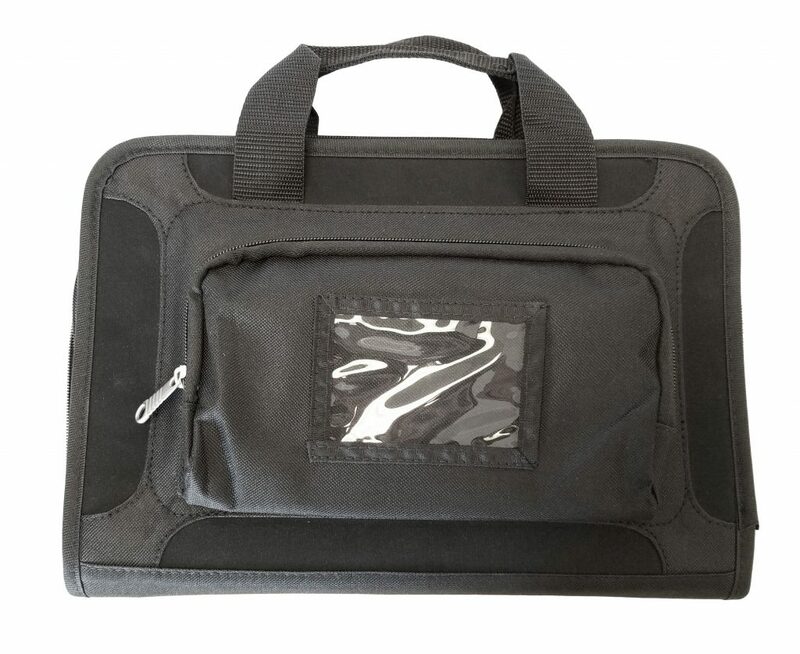 ultimate protection for a standard 11.6” Chromebook or larger 13″ – 14″ laptop. Handles, Removable Shoulder Straps and Zippered Accessory Pocket. You provide us with the logo, color scheme, and accessory choices. 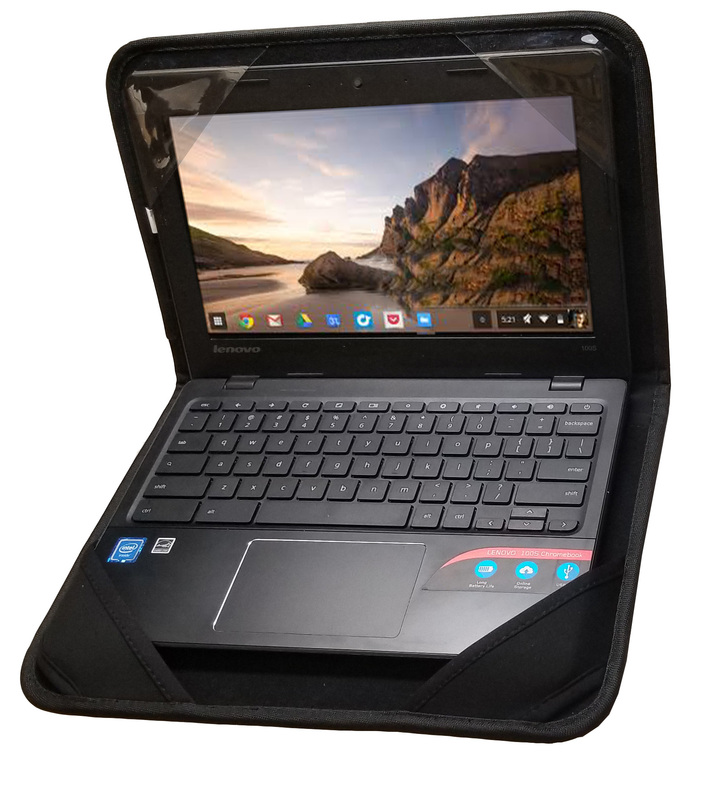 We will make sure you get a quality case, to your specifications, in time for your next Chromebook rollout. 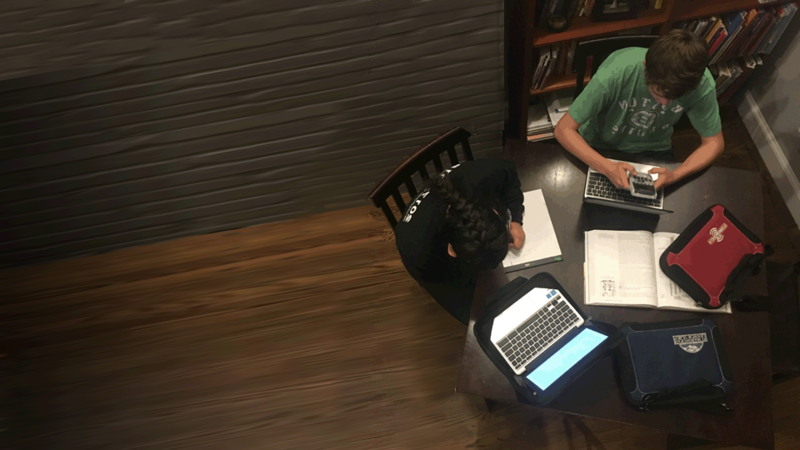 Chromebooks are already education’s best value. 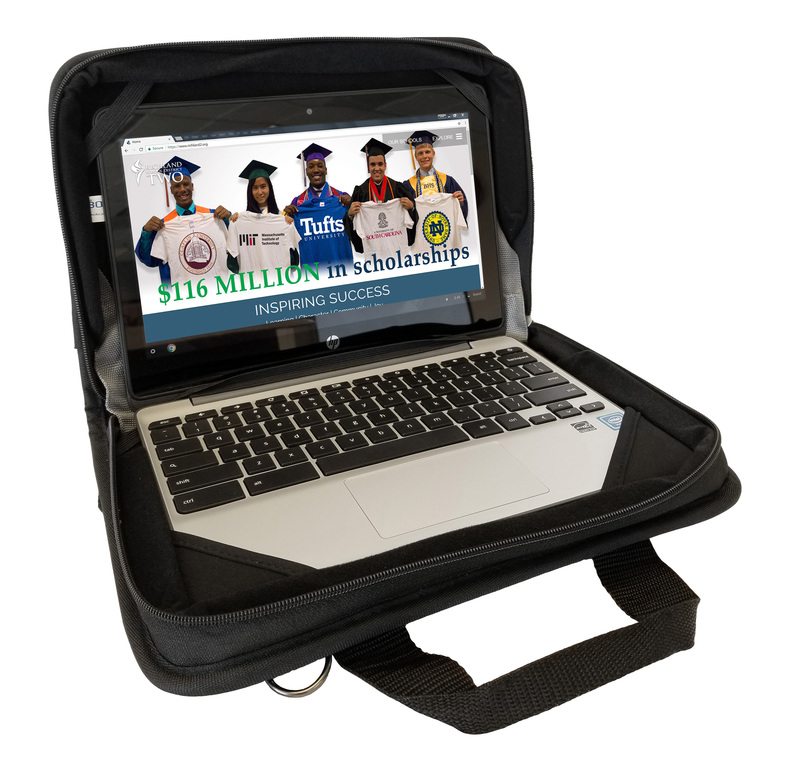 Protect your investment with a low cost, high quality Brand Advantage Chromebook case. 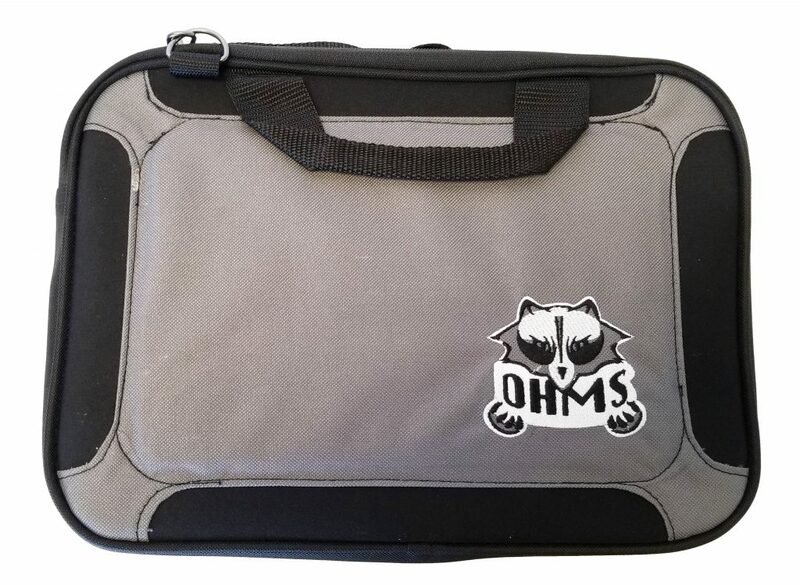 This is the original and most popular case we sell, offering a traditional sleeve-like design, available for all varieties of 11.6” Chromebooks and and larger 13” – 14″ laptops. The Bookcase comes in 12+ colors with contrast stitching, customized with your school’s embroidered logo. 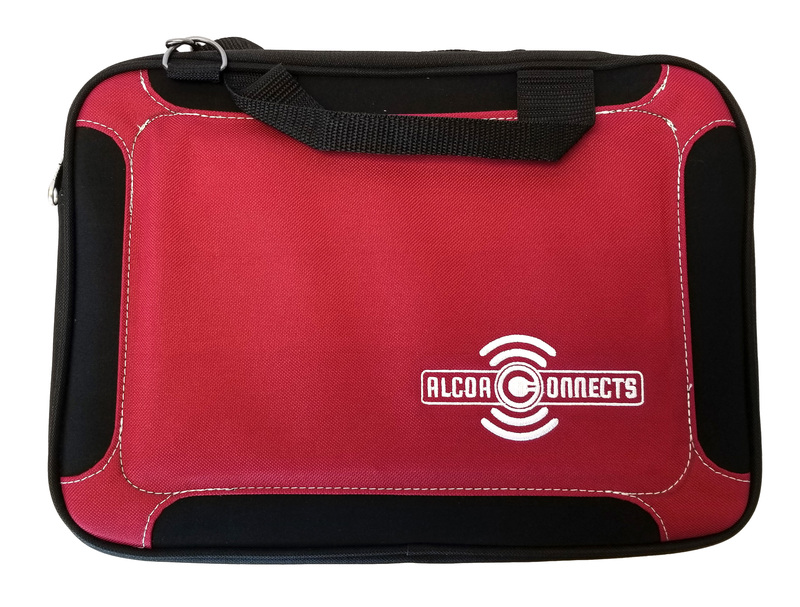 Each case includes a clear ID pouch on the back and D-rings for use with optional shoulder straps. We specialize in orders of 250 or more with a tiered pricing structure, providing unmatched value when compared to our competitor’s cases that offer similar features, quality, and protection. All we ask if that you give us enough lead time to ensure you get your cases when you need them. Our A1 Bookcase provides the most protection for your device. It features an innovative all-in-one, Always-On design that offers 24-7 protection against accidental damage. 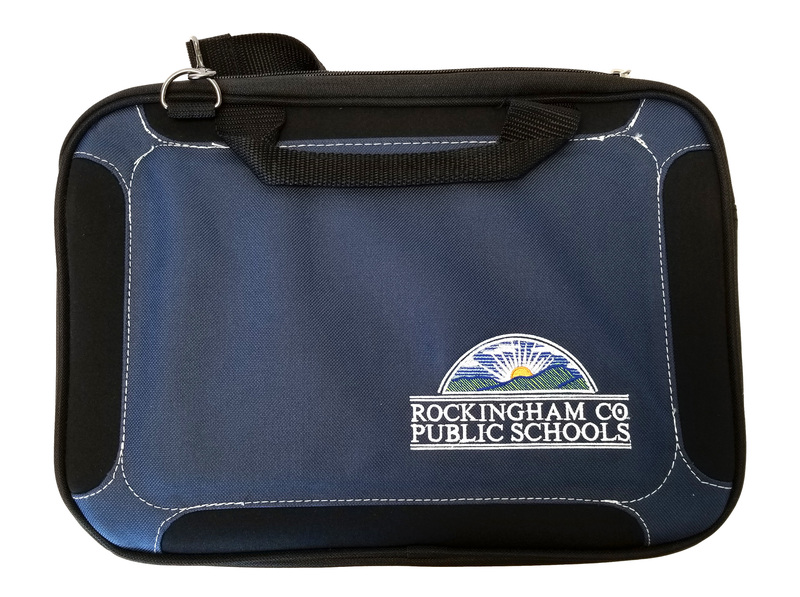 The A1 Bookcase comes in 12+ colors with contrast stitching, customized with your school’s embroidered logo. Each case includes a clear ID pouch on the back for easy identification. Our newest design, the Folio Bookcase, is perfect for the older, more responsible students. The Folio Bookcase’s slim design allows it to fit easily into a backpack, locker, duffel bag or even a large purse or tote. Despite its compact nature, it still features internal wire edging and a hard plastic shell and as an Always-On design it offers 24-7 protection against accidental damage. 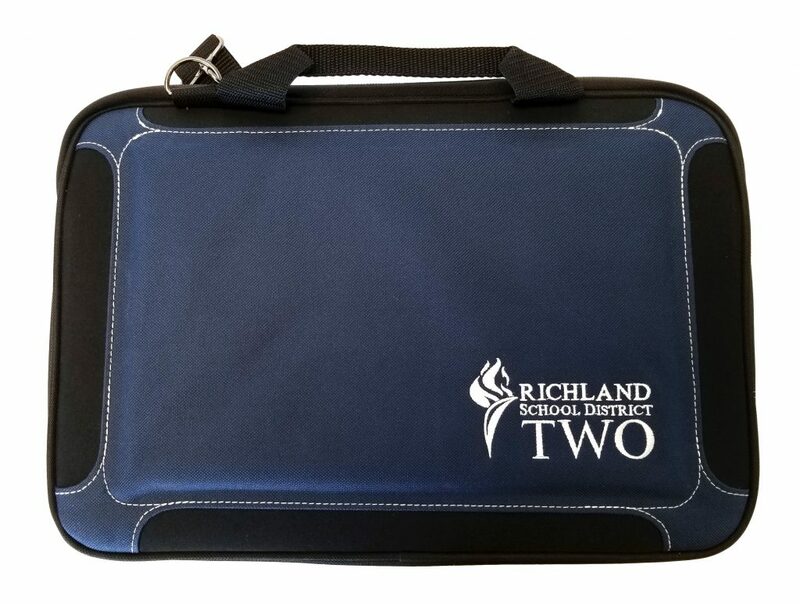 The Folio Bookcase comes in 12+ colors with contrast stitching, customized with your school’s embroidered logo. Each case includes a clear ID pouch on the back for easy identification. We have been very happy with the cases we ordered and the service received when doing business with Brand Advantage. Mark was great to work with, easy to communicate with, and upfront with all of the details. The quality of the case is second to none. I would recommend Brand Advantage to anyone! We will continue to do business with Brand Advantage for years to come. We have tossed your cases over 50 feet multiple times with no screen breakage. I have dropped and slammed them on the floor and the pc screen is fine. A principal tossed your case (with a PC inside) over 30 feet to me (I let it hit the floor) in front of 40 principals and district administrators (including the superintendent). I showed them all that the screen remained intact. Amazing quality for a great price. They even worked with me to create some customization beyond what was offered on their website. From testing the bags out to putting a bag in each of our 1000 students and staff members hands, Brand Advantage has been outstanding in all aspects. The communication, delivery and the bag itself has been top notch. We plan on using these bags for many years to come. 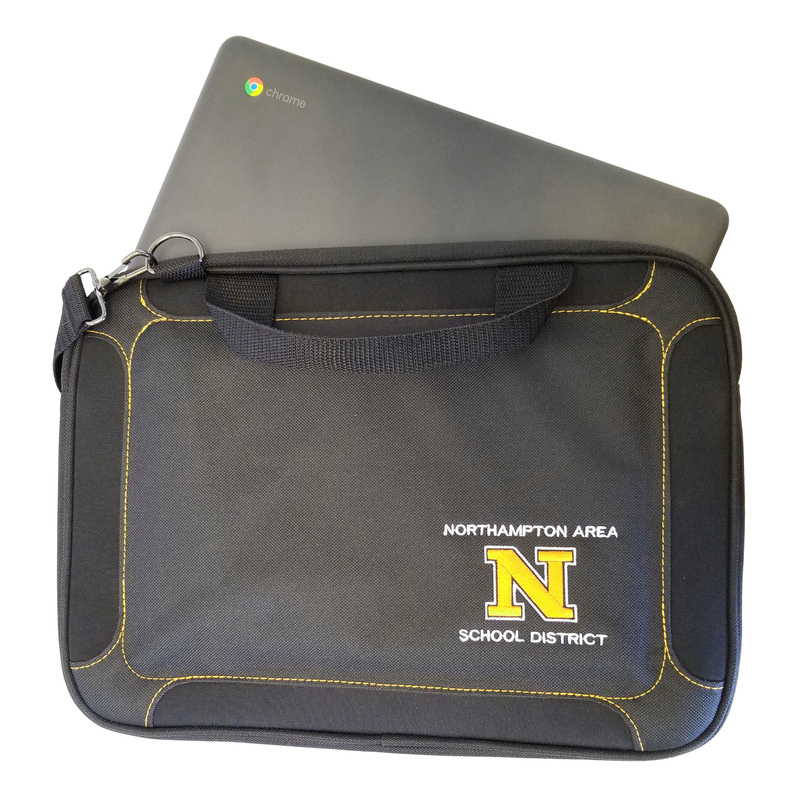 We ordered 300 cases for our Chromebooks, with custom embroidery and we love them! They are so well worth the low cost that I can’t even begin to explain how happy we have been with our purchase! Our sales rep was always reachable and always eager to help if we had any questions. Honestly, our only regret is that we didn’t purchase more of them. We were looking for a sturdy case to protect our 1:1 investment and the bag from Brand Advantage fit the bill. The surprise was how stylish the bags are, customized with our district logo and colors. Brand Advantage was quick to respond to all our inquiries and delivered our product on time for our 1:1 rollout. Mark from Brand Advantage was so very helpful in getting us exactly what we needed, when we needed it and at the lowest price possible. The quality of the cases are excellent with additional padding along the bottom and the sides. We are very happy with the product and the service that Mark provided us.